The Savvy Blog Book: Day Three - What's your savvy? For this third day in the Savvy blog book tour I thought that it might be interesting, and perhaps amusing, to talk about savvies. 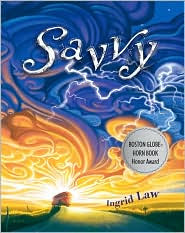 In Ingrid Law's book a savvy is a magical gift that you acquire when you turn thirteen. In Mibs' case she became able to hear the voices of tattoos and other markings that people around her had on their skin. In my town this would be very disquieting because so many people have tattoos. What would the Mayan glyphs that a friend has tattooed on his arms say? What would the ivy tattoo on my own hand tell me? After I had my inteview with Ingrid I began to think about savvies. I do believe that we all have savvies - though alas, they are not magical in nature. Still, they can be very powerful in their own way, and they can have a profound effect on our lives. I know, without a doubt, that my father's savvy was his ability to be curious about the world. Even when he was almost eighty my father never stopped wanting to learn. He never stopped asking questions. I can only hope that my curiosity about the world will last like his did. I like to think that my strongest savvy is being able to feel compassion for others who are having a hard time. I myself have experienced some very difficult times in my life, and I think these experiences have made me more sensitive to the troubles of others. Of course this compassion does have a down side - I am so easily moved by the troubles of others that I spend a lot of time worrying about them. This takes a lot of energy and it can be exhausting. Nevertheless I would not want to lose my savvy. My husband's savvy is that he is very rarely upset by what is going on around him. I often wish I had his cool head. By contrast, I am impatient and lose my temper quite easily. Annoyances that drive me crazy seem to have little to no impact on him. Other savvies I have encountered in my friends are: the ability to make people laugh, the ability to solve problems with ease, the ability to make others feel that they are special, the ability to make even the shyest person feel comfortable, and the ability to eat as much as one wants without gaining a pound (sigh). I'd love to hear what you think your savvies are, so please join me in this discussion. Good morning. Today I will be 'talking' to Ingrid Law, the author of Savvy. Marya: Where did the idea of someone having a savvy come from? Ingrid: In some ways, a "savvy" is just a metaphor for some aspect of growing up. When we are kids--especially kids becoming teens--so many things can feel huge and out of control, just like a new savvy. But I also wanted to show in the book that everyone has a talent, whether or not they call it their "savvy" or not. Marya: Why did you call it a savvy rather than a gift or a talent? Ingrid: I knew I wanted to write a book about magical children without ever using the word "magic." Yet, I wanted to pick a word that anyone could relate to and "savvy" fit the bill nicely. Also, the word was originally a noun and was used as such for over one hundred years before ever being used as an adjective. Marya: What do you think your savvies are? Ingrid: I always answer this question three ways. My dream savvy would be to fly or breathe underwater. My silly savvy is that I am clumsy and spill things all the time. And my real savvy is that I smile a lot. Marya: It seems to me that a lot of people don’t even try to discover what their true inner savvies are because they are so busy making a living and surviving? Would you agree? Ingrid: Yet, even so, even while making a living or simply surviving, we have all have strengths. Sometimes it's just a matter of recognizing what those strengths are. A savvy doesn't have to be something grandiose. It can be as simple as being good at making pancakes into shapes, or always knowing when our child might need a hug. That may sound simple and sentimental, but having been a single mom for fourteen years, I know how important it is to recognize the importance little things that make a day more special. Often it is those things that end up being most important to someone else. Marya: How did you come up with idea for Mibs’s savvy? It is certainly unusual. Ingrid: Mibs is learning to trust her own voice and know when to block out the voices of other people. But I wanted to have a fun and visual way for her abilities to manifest to demonstrate this concept. When Mibs’s savvy arrives it is not what she hoped for at all, and at first she cannot imagine how her savvy could ever be useful. She has to experience certain things before she is able to see how her savvy could be an asset. Marya: Do you feel that a lot of people are like Mibs in that they don’t truly appreciate the gifts that they have? Ingrid: Things don't always go the way we want them to or the way we hope. We have no control over how tall we are or what color eyes we have--or even some of the things that happen to us in our life. Some things are out of our control. Yet, other things can be attained through hard work and the belief that the skills and talents we each have hold merit. Mibs resists her new savvy because it's not something she believes will help her poppa, and that is what she wants more than anything. But her savvy is really there to teach her about herself and help her become the person she is going to be. Marya: Your book is full of powerful imagery. Do you feel that you are particularly sensitive to seeing and capturing imagery as you go about your life? Ingrid: Yes, I tend to respond to life through metaphor. I see pictures where there aren't meant to be pictures and think of stories when I listen to music. I've always made up stories in my head, long before I ever put them down on paper. Marya: Savvy has been very well received. How does this make you feel? Ingrid: It's been very exciting and, at times, more than a little overwhelming. Marya: Some of the books I have reviewed have given me something that I believe I will always carry with me. Savvy is one of these books. What would you like your book to give your readers? Ingrid: I hope that Savvy might encourage readers to appreciate themselves and others for who they are and to know that everyone has gifts, even if those gifts take work or don't come easily at first. Marya: Are you planning on bringing back Mibs and her colorful family? Ingrid: I love these characters and their crazy family tree. I am working on a follow up to Savvy, though the main character is someone knew. There will be a few familiar faces along the way, but I felt that Mibs's story has been thoroughly told and want to look at the idea of getting a savvy from an all new perspective. Good morning everyone. For the next three days we are going to be looking at the book Savvy. Written by Ingrid Law, this very unique and memorable story is one of the best books that I have reviewed this year. Here is my review. Mibs is about to turn thirteen and in her family this particular birthday is very important. The reason for this is that this is the age when people in her family get their “savvy,” their special gift or talent. When Mibs' brother Fish turned thirteen he caused a hurricane, and he has struggled with his storm creating tendencies every since. Her other big brother Rocket attracts electricity, and his gift not only breaks appliances but it also runs the family car. Mibs is eager to find out what her savvy will be, and then all her hopes for a special birthday celebration are dashed. Her father is involved in a terrible multi-car pileup on the highway, and soon Mibs’ mother heads for Salina to be with her injured husband. Mibs stays at home with her bothers and her grandfather in the care of the preacher’s wife. Which is why Mibs finds herself in the church on her birthday attending a party that she does not want, and surrounded by people she does not really like. All Mibs wants to do is to go to Salina to be with her mother. She is convinced that she will be able to use her savvy will help her father. And this is when Mibs gets the brilliant idea. While the party is going on, she sneaks onto the pink bus that a bible salesman drives, thinking that he must be going back to the city. Her brothers Fish and Sampson, and the preacher’s children also get on the bus. Unfortunately the driver goes north instead of south, in the wrong direction, and Mibs begins to wonder when she will be able to be with her father. She is also very worried about her savvy, which has arrived on time. It is not at all what Mibs expected, and she cannot help wondering what use it will be to her. In this powerful book, Ingrid Law explores friendships, she looks at an important rite of passage, and she shows her readers how well meant plans can go hopelessly awry – in both sad and funny ways. This is a memorable book filled with beautiful language, splendid imagery, and colorful characters. Please come back tomorrow for my interview with Ingrid, and do visit the other bloggers who are participating in this tour. Today, perhaps more than ever before, people around the world are growing to appreciate that “every little bit helps” when it comes to protecting the environment. There are many things that children and their families can do to make this world a cleaner, greener, and healthier place to live. To help children to see that there are so many things that they can do Sleeping Bear Press put together this clever alphabet book. 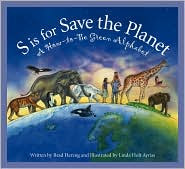 For each letter of the alphabet, the author has found an environmental topic to explore. Many of the topics include suggestions that show children how they can make green choices every day. For example, on the C page we see a child riding to school so that fuel is conserved and so that less pollution ends up in the air. The L page talks about eating food that is grown locally. Eating food that is fresher and that does not have to travel many miles to get to us is a good strategy. For every letter of the alphabet, the author gives his readers a poem to enjoy. 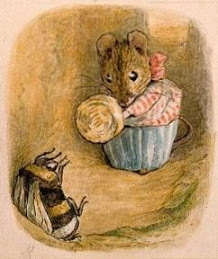 Younger children will like listening to or reading the two rhyming stanzas that compliment the artwork. In addition to the poems, the author has also written a longer piece of descriptive text. This explores the highlighted topic in more detail. This format allows children of a variety of ages to appreciate this valuable title. This is just one in a series of informative alphabet books published by Sleeping Bear Press. The people at Sleeping Bear Press have very kindly donated five copies of this book to offer as giveaways. If you would like a copy drop me a line. Earth Day is tomorrow, and in honor of this special day I would like to tell you about two projects that I think children and young people will greatly enjoy being a part of. One is the Lorax Project. This is a program that Conservation International has put together to educate children about the grave dangers that the world's forests face. Better still, the project gives children the ability to do something about the problem. The Lorax Project website is full of tips that show children what they can do on a daily basis to protect our planet. There are also games, activities, downloads, and much more to enjoy on this site. Planet Connect is another website that young people will find empowering. As they look around the site, young people will see that people from all over the world are doing amazing things to help preserve the environment. Visitors to the site can find out about programs they can join, contests they can enter, and green initiatives that are changing the way people do business. Best of all, young people will be able to see what other people of their own age are doing to make their world greener, cleaner, and healthier. 1. You are an incredibly busy person doing radio shows, writing books for adults, and so much more. How did you get involved in writing books for children? I was always writing them, have always loved children's books. It just took me longer to break into this field. My first grown-up book was published in 1998. My first children's bookwas published 7 years later. Still have a sizable bump on my head from all the brick walls I kept running into on my path to get into the children's book arena. 2. Where do you get the ideas for your very unique books? Why, the Idea Store of course! OK, two serious answers to that question. a) I don't really know where I get the ideas to be honest. b) I have started to realize that maybe it's like this: I simply am a collector of ideas. And when you collect something-- whether it's baseball cards or antiques or coins or ideas-- you are always on the lookout for them; you train yourself to always sort of be on high alert for them. And that's how it is with me. Because I love and collect ideas, I'm always keeping an eye out for them. 3. Have your experiences with your own children greatly influenced your children’s book writing? To some degree, sure. Hard to say where the line is drawn. I mean, would I have written these same exact children's books if I didn't have kids, or if I had different kids? Probably. But who knows! I will say that my kids, all three of them, have helped me with my manuscripts, improving, suggesting, adding, tweaking. They all have really good observations and insights. I've credited each of them in different books...and more of that to come. 4. Which of your books is your favorite? 5. Do you have a regular writing schedule, or do you just write when the muse hits you? I would accomplish nothing if I waited for the muse to arrive. She is one elusive little creature! I have a regular writing schedule; I write in the afternoons. And then additionally I do a lot of critical thinking when I'm driving, showering, practicing yoga, falling asleep at night, you know, in the quiet in-between spaces of life. 7. What kinds of books did you like to read when you were a child? and lots of nonfiction... I loved reading biographies when I was a kid, the junior editions sort. couldn't get enough of those. still the same way. 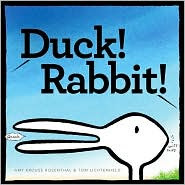 You might enjoy visiting Amy's website and her blog and do please try to get a hold of a copy of Duck! Rabbit! You will love it. Good morning everyone. 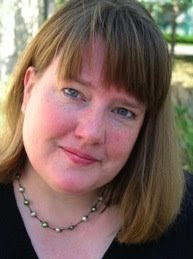 Today author Kathryn Fitzmaurice is talking to us again about her work. This is the second entry in our ongoing series of blog articles. You can read my reciprocal blog on her website. "I have taken to stalking my latest main character. He is quite elusive, though. He won’t tell me much about what he wants. He tries to hide behind the pages of my manuscript. He smiles when I’m forced to delete paragraphs that don’t match who he is. I see him in the back corner of my depiction of who he is, smiling. Arms crossed tight at his chest. He’s not ready to talk yet. He nods like he knows I have no choice. He raises his eyebrows and walks away. This is typical behavior for him. I grab my pencil and get to work. I know he’ll talk sooner or later." Thank you Kathryn. Now I know that the troublesome behavior exhibited by my characters is not unique. They truly have a life of their own. Are there any other books that you think should be in the competition? Let me know what you think and do visit the Battle of the (Kids') Books Blog. It is going to be fun to watch this battle take place. Most of us know, and are horrified by, the fact that thousands of Americans go hungry every day. Now you can do something to help. Put on your creative caps and go to the Bread Art Project website. The Bread Art Project was created by the Grain Foods Foundation to help increase awareness of the growing hunger problem in the United States." The Foundation is donating $50,000 to Feeding America. Every time a member of public creates a work of Bread Art on the Bread Art Project website the Foundation will donate another $1. 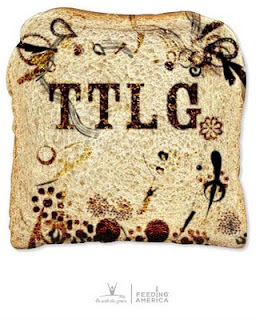 Visit the online galleries and create your unique bread art for this worthy cause. You can see my bread art effort on the right. Hello everyone. The new issue of Through the Looking Glass Book Review is now online. This month the Special Feature is "Books and Libraries" - in honor of all the book related events that are taking place this month. One book that I read for this feature was especially notable. That Book Woman by Heather Henson looks at the impact that the Pack Horse Librarians had on rural communities in America during the 1930s. I hope you will be able to enjoy some of these events with the children in your lives. In addition to the "Books and Libraries" feature I looked at books about spring. Then there are the titles that are linked to the Bookish Calendar. If you want to read about Easter, Thomas Jefferson, or Earth Day, you will find links to books about these subjects - and many others - here. The book that I chose for the Editor's Choice for April is Trainstop by Barbara Lehman. This superb wordless picture book is a joy to look at, and children will have great time talking about the magical story. Readers will see that doing others a kind turn can be wonderfully rewarding, and in this case at least, the giver is given a priceless gift to thank her for her kindness. By the by, all of Barbara Lehman's books are memorable and magical. I hope you enjoy this month's issue of Through the Looking Glass Book Review.